The European branch of Kingston Technology, a leader in memory products, has released the DataTraveler microDuo flash drive. 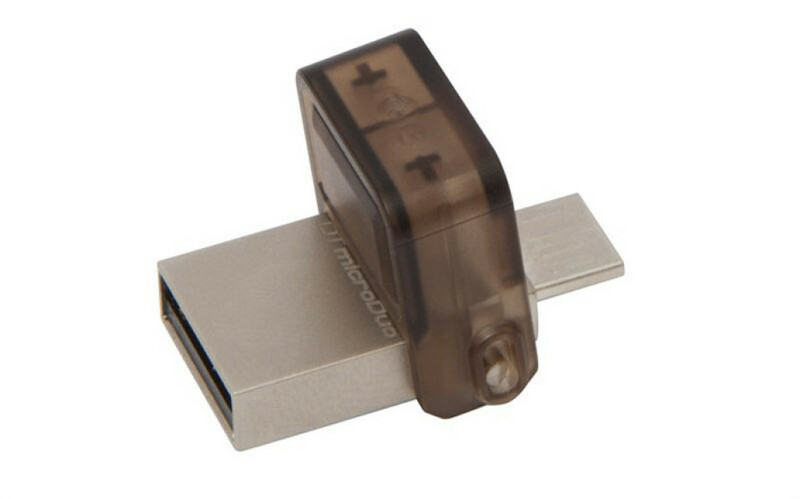 The new Kingston product is a combination of a regular USB and a small-sized microUSB flash drive and brings new functionality to users out there. The microUSB port on the DataTraveler microDuo can be used on various devices to expand storage up to 64 GB. This is especially useful for various versions of smartphones and tablets that come without microSD slots for expandable storage. In addition the device allows files to be transferred without the need for a PC. Don’t expect fantastic transfer speeds with this one though as it comes with only USB 2.0 support. Even then the DataTraveler microDuo is worth looking at – the device comes with a 5-year warranty and offers capacities of 8 GB, 16 GB, 32 GB and 64 GB in a light and small chassis that measures 27.63 x 16.46 x 8.56 mm. The pricing of the new DataTraveler microDuo is not known as of now.